This week, we’re going to be celebrating a variety of international events taking place around the world. We’ll be starting off with Chinese National Day, which takes place on 1st October, and which celebrates all things Chinese. 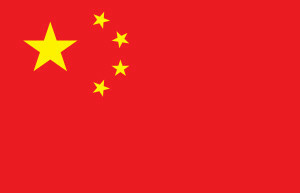 The People’s Republic of China was founded at Tiananmen Square on 1st October 1949, and it has been determined that this should represent the national day. Public places throughout China, Macau and Hong Kong are decorated elaborately, with portraits of leaders put on display for Chinese citizens to show their gratitude to the government. The government also organises some large country-wide events, such as music concerts and firework displays, and it is a time of great festivity and celebration for the Chinese people. If you want to join in and celebrate with your friends and family in China, send a cheap parcel with RAND for the best prices and most reliable service.